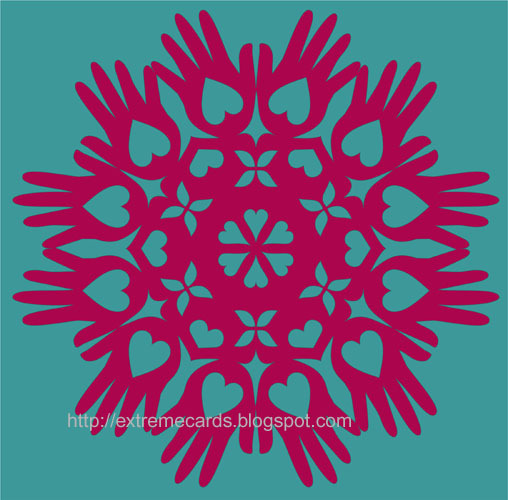 The heart in hand is a traditional motif, representing the Shaker belief "hands to work, hearts to God." This is another snowflake for machine cutting. 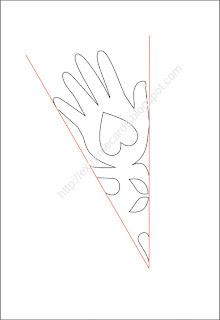 Or, if you're very patient, you could try hand cutting it. 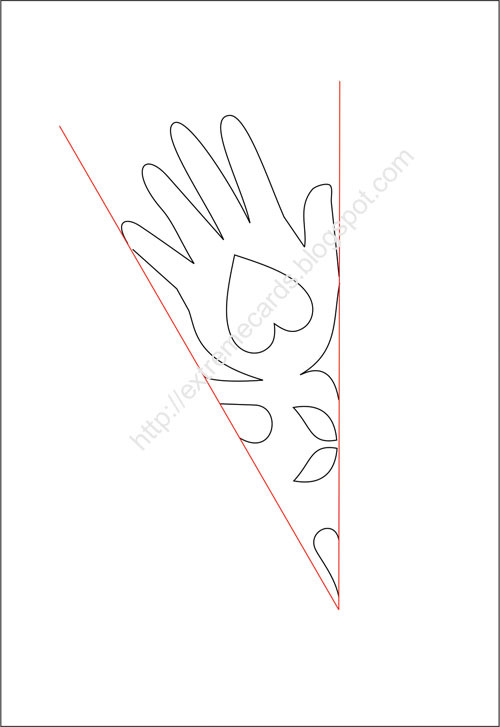 Download PDF to hand cut. Template fits on a 12-fold snowflake, folded like this.